What is our relationship to the intentional? I love synonyms. When I was learning how to become a better writer I used to just go through synonyms over and over again to learn new words, to learn where words can go and the depths of their meaning. As we have been talking about your work, Logan, thoughts and ideas have surfaced that I’m not sure we have answers to. When I think about intentionality, I think about the time and precision it takes, but I also think about when intentions received unplanned visitors. What does it mean to be intentional or to embrace intentionality? Are you intentional through work or projects? Are you intentional through each movement you execute throughout a day? Or do you allow your intentionality to balance finely with the unexpected? Can the intentional exist without the unintentional? My grandfather is from the Penelakut nation of Galiano Island BC, in Coast Salish territory. My grandmother is Sahtu Dene from Aklavik, NWT. I didn’t learn about this until I moved away to Montreal, far away from where they, and the rest of my family are. I had ignored/put aside my Indigeneity before this time because I couldn’t understand why a father would abandon a child. My father did not abandon my mother and I in the traditional sense of abandonment, but due to a long history of intergenerational trauma that hasn’t been talked about in my family from residential schools, my father did not know what being a father meant. Because of this, I held a long grudge against being Indigenous, I was embarrassed and felt the pressure of racial stereotypes scraping at my skin. I learned a few years ago now that my father’s mother, my grandmother, was diagnosed with dementia. It was like someone had punched me in the gut. I suddenly became motivated to ask her about our families’ stories, knowing that if she forgot them, they would be lost. In doing this over several years and learning of my family’s history, it seemed as though my father also began to heal as I forgave him for leaving me. I think that Indigeneity means so much to so many different Indigenous folks and it can never exist as one thing, but to embrace one’s individual Indigeneity takes consistent intention, care and work. Intentionality might also necessarily need to exist with accountability if we’re talking about it in relation to an Indigenous intentionality. Perhaps the most important component here as we build our own Indigeneities is the intentional accountability we must practice in caring for our fellow Indigenous peoples, communities and lands. 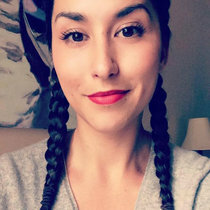 I also think that a lot of Indigenous folks have a lot of questions like I do, about who we are and what our identities are, especially learning about Indigeneity on land that is not where we are from, but learning on someone else’s land. I feel like I have an intentionality to trying to find my own Indigeneity, yet I don’t know if I am invited. I often feel as though I am trying to roll myself up an awkward hill through the maze of questions that wind themselves around my mind. What I want to ask you is where are the places you have made into your home? How have you created these spaces? Can you learn about who you are away from perceived notions of home? How do we form ourselves and our homes on someone else’s land?